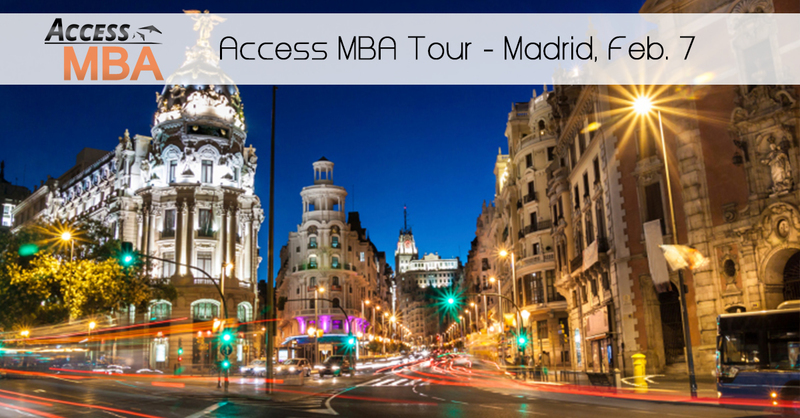 Access MBA will hold an MBA info event in Madrid on February 7th. Registered attendees will be able to have one-on-one meetings with MBA admissions directors. Additionally, individual consulting sessions with experts will be provided. There will also be school panel discussions and GMAT workshops. The event will be held at the Emperador Hotel starting at 10:00. Schools attending include EDHEC, Hult International Business School, and IE Business School. See a complete list of attending schools below.